July 14, 2010, 10 a.m.
By Megan Garber @megangarber July 14, 2010, 10 a.m. Yes. You know the conventional wisdom: long-form journalism doesn’t do well on the web. Our attention spans are too short and sentences are too long and and we’re too easily distrac — oooh, Macy’s is having a sale! — and, anyway, complex narratives are inefficient for a culture that wants its information short, sweet, and yesterday. Long, carefully wrought articles are tasty, sure; online, though, the news we consume is best served up quick-n-easy. The web isn’t Chez Panisse so much as a series of Sizzlers. Whether or not that kind of thinking is valid from the psychological perspective, a more relevant question, for our purposes, is whether it’s valid from the financial one. What kind of value proposition does long-form journalism represent in the digital world? Can it be monetized? Or, as behavioral economists might put it: Does long-form, you know, work? One piece of good news — good news, that is, if you’re a fan of the genre — comes courtesy of Slate. 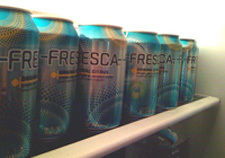 You may recall the online magazine’s Fresca initiative — so named for editor David Plotz‘s passionate and non-ironic obsession with the grapefruity beverage — which launched last year to give Slate writers and editors the opportunity to focus on long-form work. Essentially, the fellowship program requires that every editorial staff member at Slate (Plotz recently added copy editors to the Fresca pool) take four to six weeks off from their normal jobs, paid — and use that time to produce one in-depth piece (or, often, a series of in-depth pieces) on a subject that compels them. So far, the project has netted such praiseworthy specimens of long-form as, among others, Tim Noah’s analysis of why the U.S. hasn’t endured another successfully executed terror attack since 9/11 and Julia Turner’s look at the fascinating complexities of signage and June Thomas’ examination of American dentistry and Dahlia Lithwick’s crowd-sourced foray into chick-lit authorship and John Dickerson’s reclamation of risk-taking after the financial crash gave that quintessential American practice a bad name. The other thing the initiative has netted? Pageviews. They’ve been in the millions, a Slate rep told me: over 4 million for Noah’s piece, over 3.5 million for Thomas’, nearly 3 million for Turner’s. That’s especially significant considering the length of the pieces, which often run in the tens of thousands of words. Combine that with New York Times Magazine editor Gerry Marzorati’s claim, last year, that “contrary to conventional wisdom, it’s our longest pieces that attract the most online traffic” — and, come to think of it, with tablet computing’s promise of portable, pleasurable reading experiences — and “tl;dr”: you are on watch. It’s a wide-angle view of the reader/marketer relationship that is also reflected in Slate’s business-side messaging. Take, for example, the magazine’s pitch to advertisers (entitled “Slate: The Online Magazine for the Smartest Generation”), which uses the term “smart” eight times on a single, short page, by my count — four of them in the declaration that “Slate is unrivaled at combining smart editorial, smart readers, and smart ad solutions to produce the smartest possible media buy.” That’s an approach similar to the Gawker Media strategy of leveraging “recurring reader affection,” rather than relying on the blunter instrument of simple traffic metrics — and one that emphasizes the holistic quality of the audience, as a commercial entity, over its simple quantity. It’s not the size of the boat, and all that. Photo by Dave Winer used under a Creative Commons license. POSTED July 14, 2010, 10 a.m.
Garber, Megan. "“Smart editorial, smart readers, and smart ad solutions”: Slate makes a case for long-form on the web." Nieman Journalism Lab. Nieman Foundation for Journalism at Harvard, 14 Jul. 2010. Web. 25 Apr. 2019. Garber, Megan. "“Smart editorial, smart readers, and smart ad solutions”: Slate makes a case for long-form on the web." Nieman Journalism Lab. Last modified July 14, 2010. Accessed April 25, 2019. https://www.niemanlab.org/2010/07/smart-editorial-smart-readers-and-smart-ad-solutions-slate-makes-a-case-for-long-form-on-the-web/.